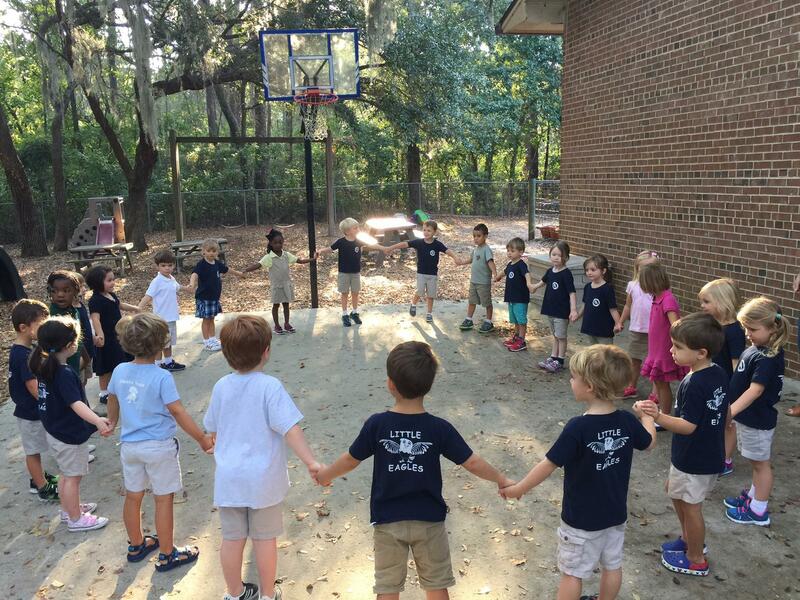 Beaufort Academy's preschool strives to create a unique learning environment that sparks the physical as well as the emotional growth and discovery of each individual child. Our creative curriculum is a combination of both traditional and progressive concepts used to support each student’s social, emotional and cognitive growth. We use Handwriting without Tears to promote language and literacy development by introducing stimulating and challenging activities that reinforce higher levels of letter recognition, phonemic awareness, expressive and receptive language, oral language comprehension and concepts of print. Math is taught through a variety of hands activities such as block building, patterning, graphing and puzzle activities. The Scientific Method is used during Science lab both in our in class science stations as well as our outdoor science lab. We use such concepts as asking a question, hypothesizing, experimenting and concluding our experiments. Social studies lessons are done through creative problem solving and designed to promote a broader discovery of the world around us. Spanish, Art, Music, PE and Library are taught through our specials program and is designed to give each child additional knowledge in each of these areas. Students are exposed to both historical and modern artist such as Vincent van Gogh, Pablo Picasso and Andy Warhol, to name a few. In Library they develop a love for listening to creative and exciting stories. Spanish promotes an ear for the languages. Advanced motor skills are taught through structured yoga, sports, and playground activities. Our teachers are highly qualified experts that will introduce a variety of key, age-appropriate lessons designed to develop a lifelong love of learning. For more information on our little eagles program, please contact our Admissions Director Becky Bekemeyer.